This is my first wallpaper I made for MiniTokyo. It features the three gundams Chaos, Gaia, and Abyss that belong to the partially important characters. i love the lighting effects! too bad abyss is no more :"(:"(:"(i hope the makers will pull some kind of ANDY on auel! he's my fav druggie! 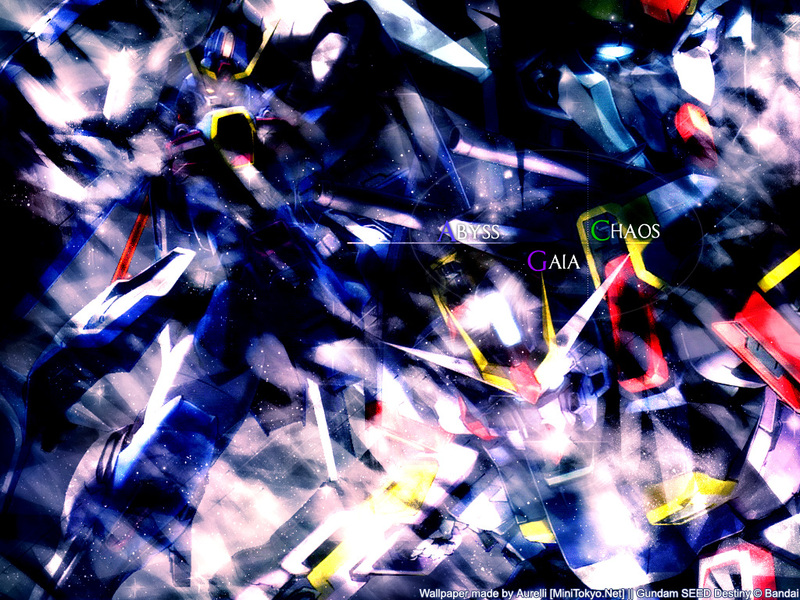 I like it and its nice but i can't really see the three gundams. but you did a great job and keep it up.